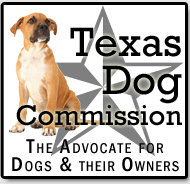 HB 2679 (Dangerous Dog Appeals): Good for Texas Dogs & their Owners. HB 2679 is a good bill for Texas Dogs and their owners. Texas has some of the toughest laws in the country regarding dangerous dog allegations. 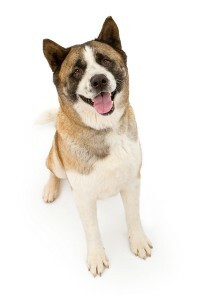 In fact, your dog does not have to bite or even touch a person to be declared dangerous per state law. These cases are most often about neighbors rather than dogs. If someone says they were in fear of bodily injury, he or she can file a sworn statement to that effect and have your dog deemed dangerous despite it has not bitten, scratched or even touched someone. That is why appeals are so important. It is also why it is far better to have a right to a jury trial from the outset so that the fate of your dog is not decided by one person, a judge, why oftentimes rules against accused dogs just to be on the safe side. Any dog can be declared dangerous regardless of size. I have represented and consulted with people who own all sorts of dogs from tiny dogs to giant dogs. No dog is immune from being declared dangerous and some local governments deem dogs dangerous for an incident with another dog or cat. HB 2679 will be a great benefit to dogs and their owners. Provides a right to a trial by jury from the outset instead of a hearing. Provides for a de novo appeal and a right to trial by jury of an appeal. Provides for de novo appeals does away with some municipal court cases being appealed on a record. Fixes a glitch in the law since owners whose cases were filed in municipal courts would often not get an appeal. Municipal courts primarily deal with Class C misdemeanors and Dangerous Dog cases are civil, so they cannot be appealed to criminal courts that exist in some counties. . Ensures that all Texas animal owners have the same appellate process by fixing the glitch explained above.